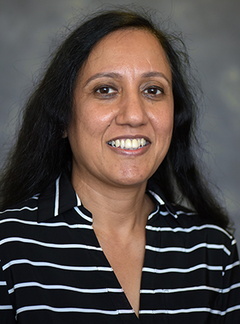 Dr Dwivedi is a University of Minnesota Assistant professor of Family medicine and community health and chief clinical officer at the Community University health care center. She received her medical training at Vaishampayan Memorial medical school India, and completed residency in Family medicine at the University of Minnesota. She was also honored to serve as chief resident in family medicine at the University of Minnesota. Dr Dwivedi is involved with several leadership and quality committees all across Minnesota and serving as director at large within the executive committee of Minnesota AFP. She is an educator and likes to create new models of teaching and culturally competent care deliveries. Her special interest in education include global health and culturally sensitive care, she is also invested in improving health disparities, mentoring medical students and residents. Addiction, Preventable chronic diseases, Trauma. healing and body experiences, patient centered care, educational models. Community University Health Care Center. HRSA expansion grant for substance abuse management in the Community. February 2016. 4. Bhat, ML, Rasool, Z, Kadri, SM, Wani, N, Hassan, G, Mumtaz, D, Qureshi, W, Shiekh, B, Dwivedi, R. Cystic Dysplasia of testis: A case report, BMJ: Journal of Clinical Pathology, 2006, Vol. 59(9), pp. 1002-1003. Educating medical students and residents. Designing patient centered care delivery models. global health, culturally sensitive care, reproductive health and prevention of chronic diseases. Reproductive health in different cultures.